Manage Microsoft server security in real time from a single platform Use a single console to manage access controls, permissions and security across your various Microsoft platforms, including Active Directory (AD), Windows Server, Exchange Server, SharePoint Server and SQL Server. Instantly see who has access to what in real time across Microsoft servers. Search for explicit or inherited permissions in AD, on file servers, Exchange server, SQL Server and SharePoint. Even search for permissions to services, tasks, users and groups. Security Explorer’s single console eliminates the need to manually search each server for permissions. Make targeted or bulk changes to servers with the ability to grant, revoke or modify permissions. View and manage group membership settings directly in the access control list for a resource. 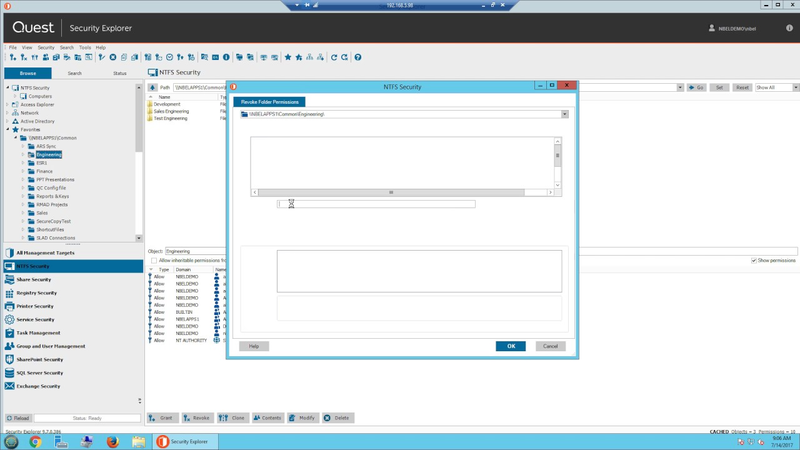 Overcome access-denied errors by forcing permissions onto protected objects. Security Explorer enables you to lock down permissions faster and easier. Quickly take remediation action from within the Quest Enterprise Reporter user interface to modify or remove any inappropriate permissions. Enterprise Reporter Suite paired with Security Explorer combines the reporting and remediation capabilities you need to facilitate security and compliance initiatives, enabling you to stay ahead of security vulnerabilities to prevent breaches. Back up and restore permissions, without having to restore data, to easily baseline access controls and revert to that baseline at any time. Recover from accidental or malicious changes, and ensure that compliance requirements are enforced. Export a database or spreadsheet listing the permissions on items anywhere in the directory tree. Filter results to show only permissions that differ from the parent folder when exporting permissions. Perform targeted searches for all locations that a particular group or user has access across the network and export this data to create ad-hoc security reports. 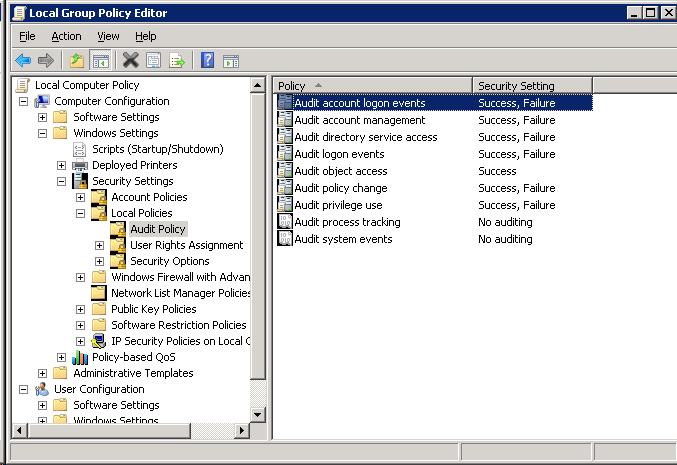 Migrate access controls, and to clean up access post migration. Because Security Explorer can back up and restore security settings to an alternate location, you can be sure that necessary access is in place on the new server(s). This shortens migrations and provides a smooth post-migration user experience. If you'd like to have a chat with us about Security Explorer, please select this option. If you'd prefer to email or phone us, our details are also here.